A simple and nutritious dish. 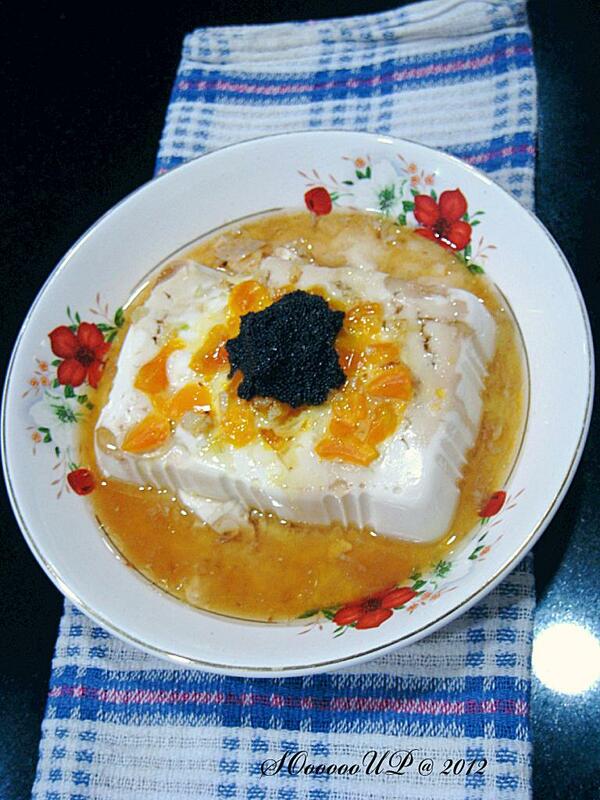 Pour the salted egg white, mix with sesame oil and light soy sauce, over the tofu and cut the egg yolk into small pieces to sprinkle on top of the tofu. Steam till yolks are cooked. 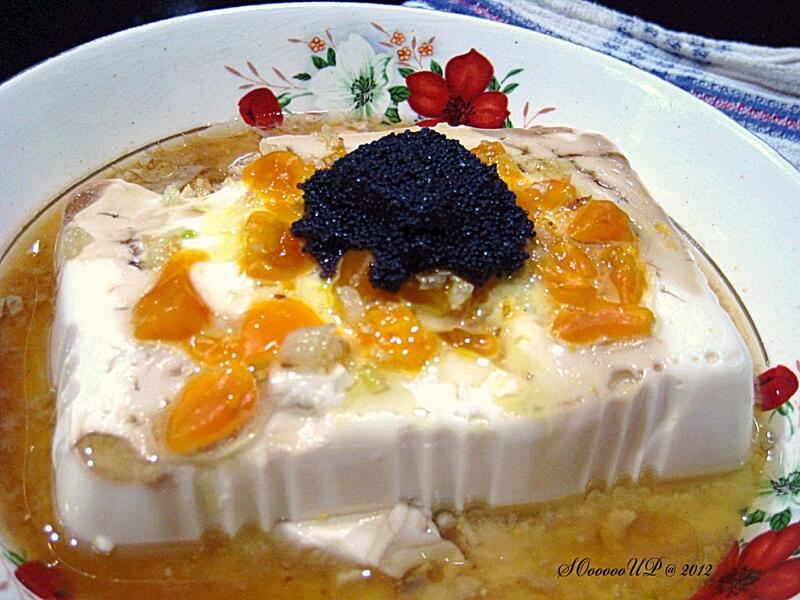 Spoon a teaspoon of caviar on top of the tofu.